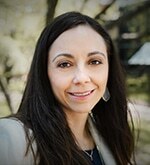 Belinda Arambula - Burns Anderson Jury & Brenner, L.L.P. Belinda May Arambula is a trial attorney. Belinda maintains an active docket across the state of Texas. She represents both companies and individuals in probate litigation, negligence, premises liability, workers’ compensation, and gross-negligence cases. Belinda is accustomed to representing parties both as the defendant and the plaintiff in a variety of venues. Belinda is conscious of clients’ needs and desires and works hard to ensure that both are met. She can handle cases from their inception through trial and into appeal.